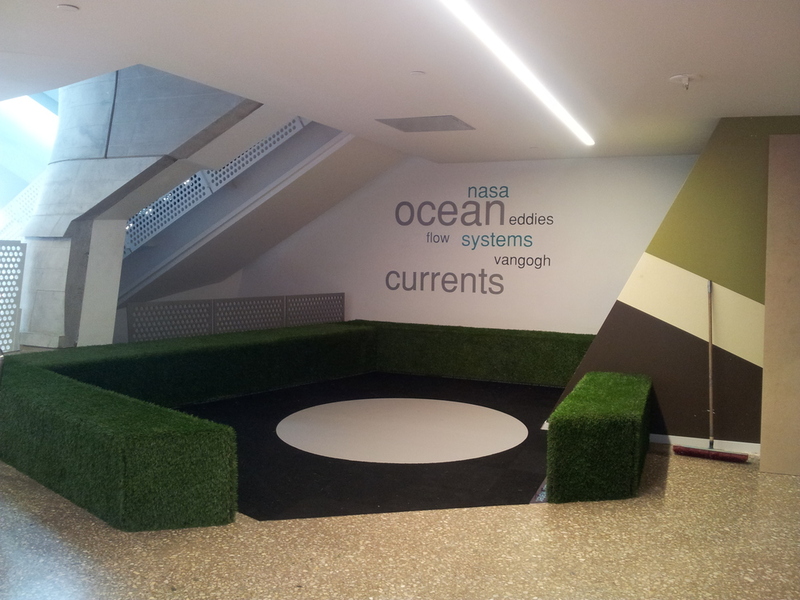 We’re always looking at things in new ways and coming up with new solutions that build success for our clients. 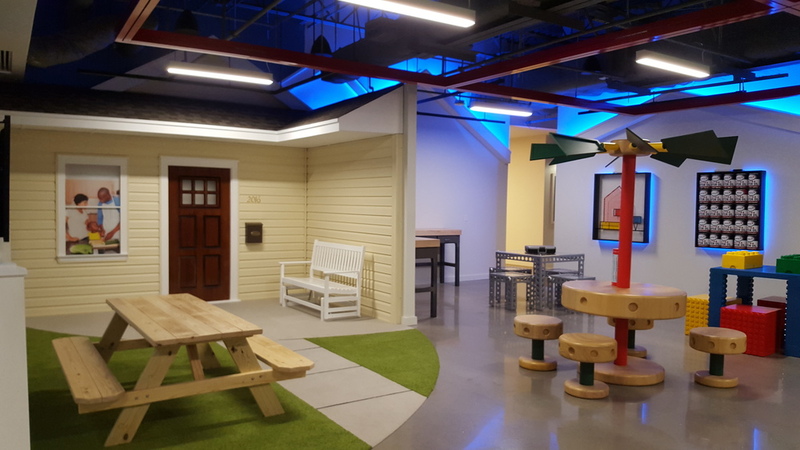 Our artisan employees are innovative, motivated, creative, forward-thinking, and responsive. Generally speaking, the more unique the challenge, the more creative and imaginative the solution. Our clients inspire us to deliver this level of service. We are determined to exceed our clients expectations. 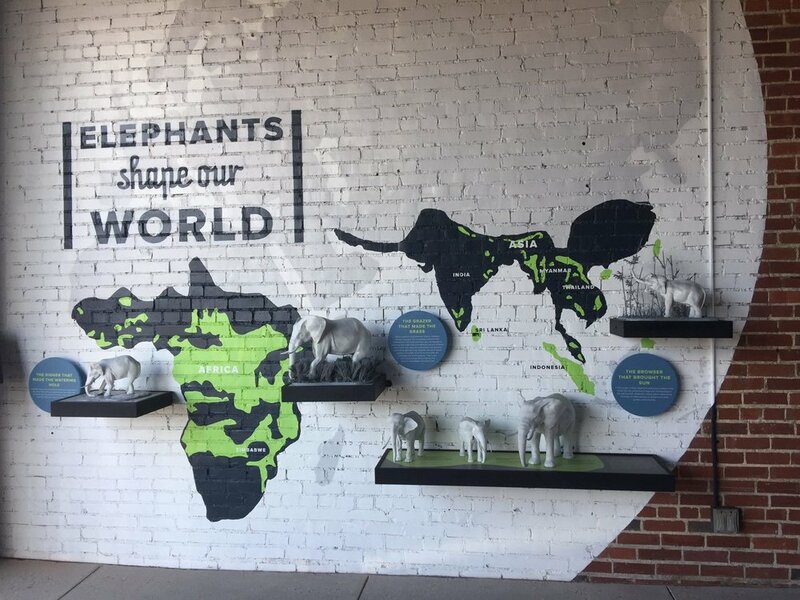 The team at Mecca Design & Production has loved working on this amazing project showcasing powerful photographs of animals by Joel Sartore, inspiring people to care about these animals and hopefully find ways to protect them. 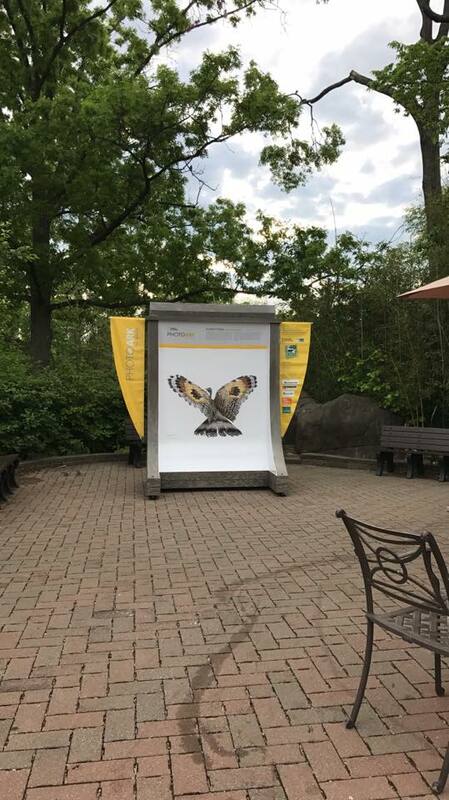 The National Geographic Photo Ark, led by photographer Joel Sartore, is a multiyear effort to document every species living in wildlife sanctuaries, inspire action through education, and help save wildlife by supporting on-the-ground conservation efforts. 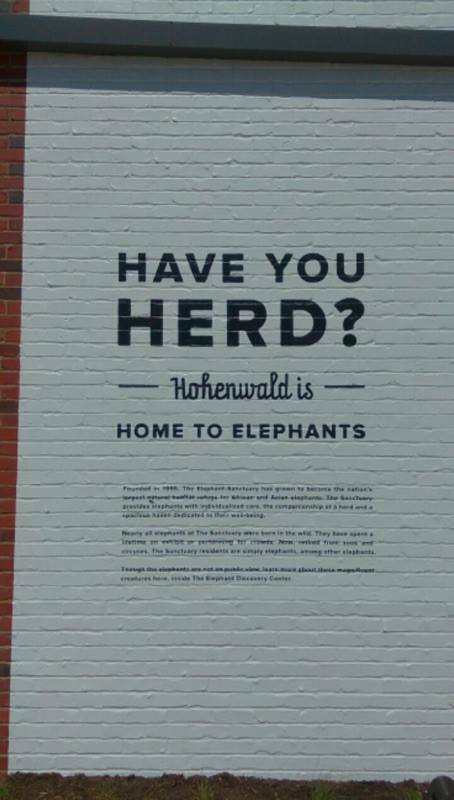 And you can help by spreading the word! Learn how you can sound the alarm about species at risk by participating in the #SaveTogether campaign. 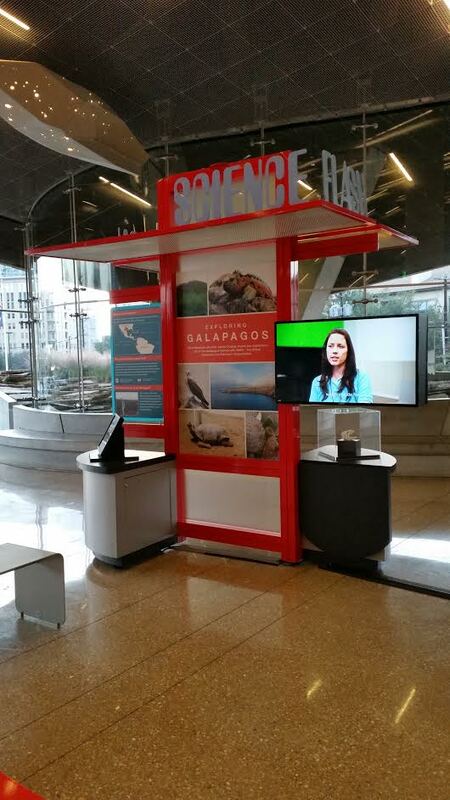 Species are disappearing at an alarming rate, but together we can help. 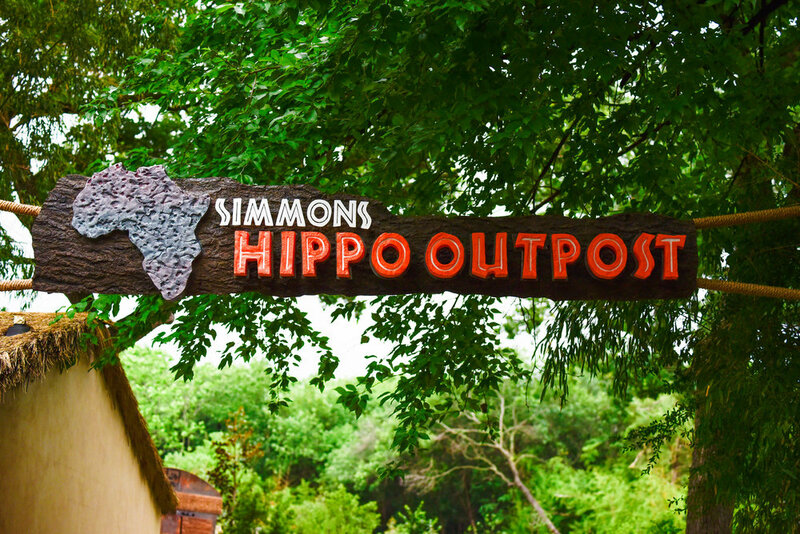 Mecca Design & Production crafted and installed custom, 9 x 4 ft., CNC plasma-cut hippos for The Brierley Hippo Encounter inside the Simmons Hippo Outpost at the Dallas Zoo, as well as CNC plasma-cut oxidized steel and wood signage celebrating the donors in the Kiboko Society, who helped bring the new Simmons Hippo Outpost to the zoo. 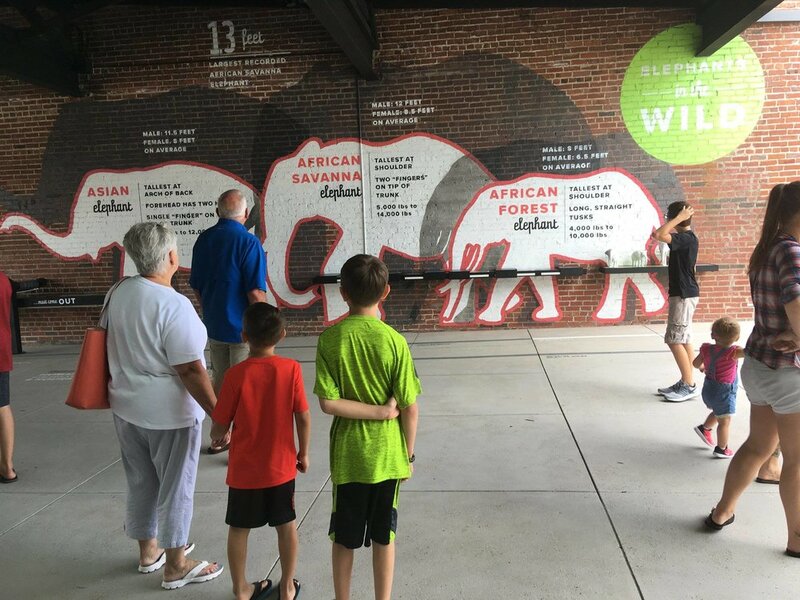 The newly enlarged Elephant Discovery Center at the The Elephant Sanctuary in Tennessee fills an outdoor learning corridor with life-size wild elephants painted on the brick and concrete walls, an interactive exhibit that explains elephant digestion, and six custom 3D-printed elephants complete with anatomically correct internal skeletal systems in various sizes and poses. 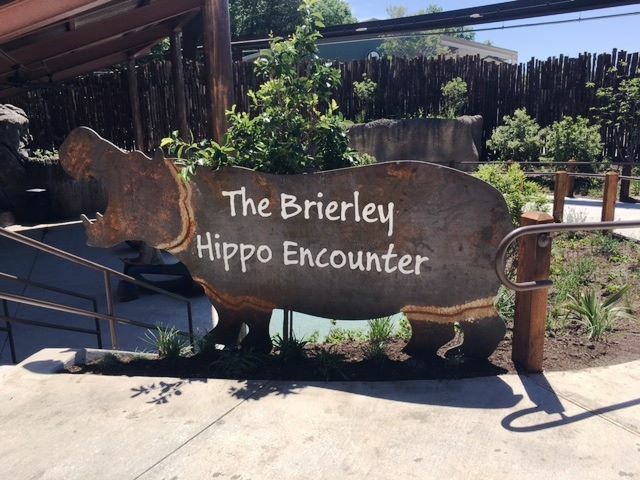 Mecca Design & Production, Inc., a custom exhibit fabrication company based in Dallas, working with Howard+Revis Design of Washington D.C., designed, crafted and installed the outdoor classroom exhibit, part of the Elephant Sanctuary’s educational outreach to help visitors understand more about wild elephants plus how and why elephants are losing their habitats and their lives. 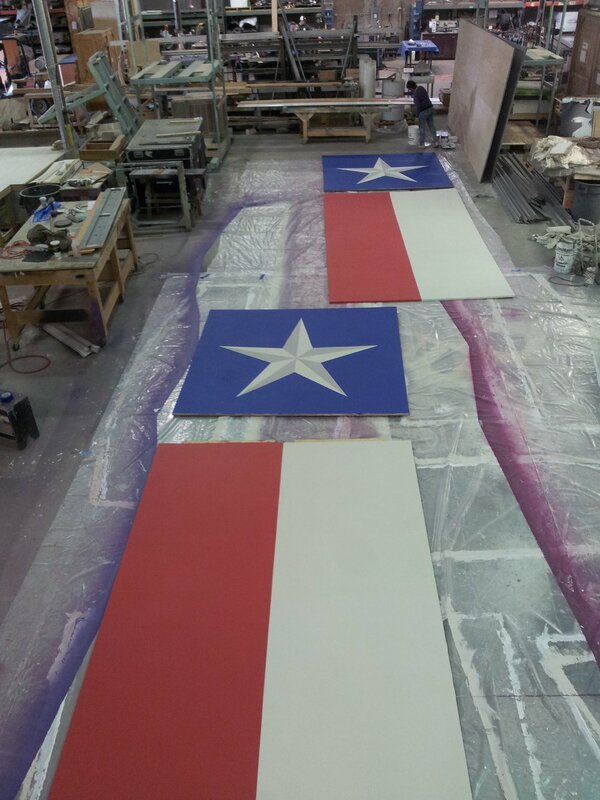 Mecca collaborated with iZone Imaging out of Temple, Texas on all the printed graphics. 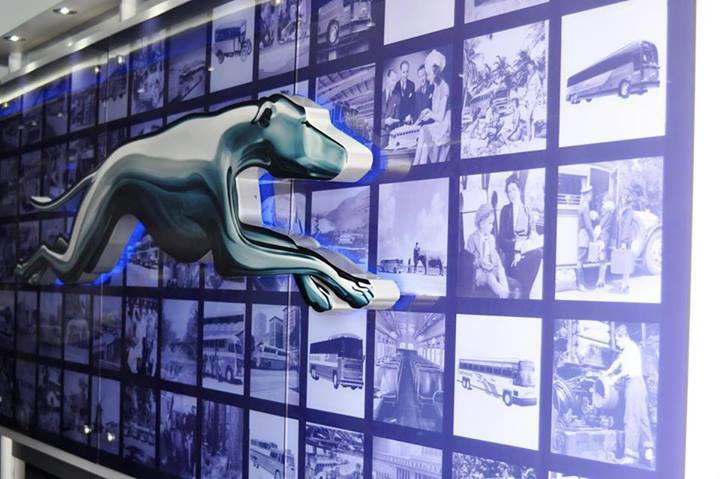 iZone is internationally recognized as the leader in high performance laminated display prints. This is the second project Mecca has brought in iZone to create the nearly indestructible prints. 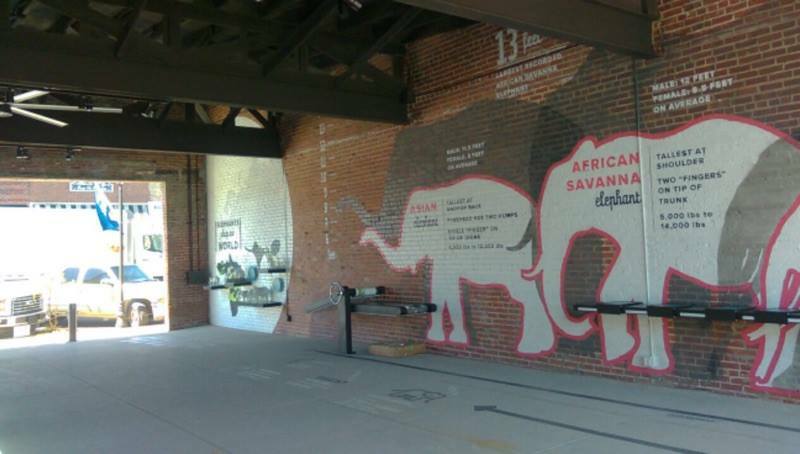 The exhibits will help students learn more about elephant species, diet, habitats, and social structures. 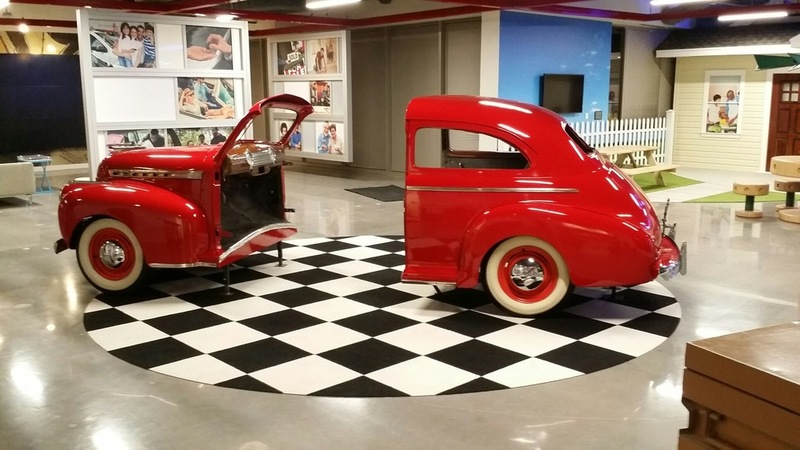 "Let's go to the Garage"
For the 3rd year in a row Mecca Design & Production, Inc. crafted original stages and sets for the Podcast Movement national podcast conference, running August 23 – 25 at the Anaheim Convention Center. 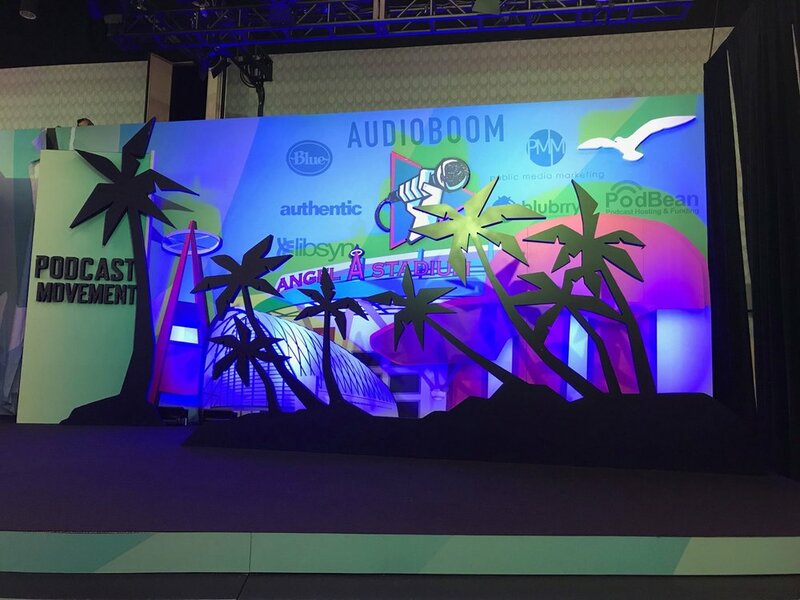 Inspired by the thematic Anaheim old-fashioned postcard, the main stages feature multiple layers, starting with a custom-printed fabric for the backdrop and painted, CNC-cut dimensional pieces in front and the signature 3D fist and mic. All sets, including 6 small ones for breakout sessions, consisted of dimensional pieces that were cut on the CNC router, then painted, with graphics added to the dimensional logos. Concept: Sturdy, weather resistant game carts and rolling libraries for parks. 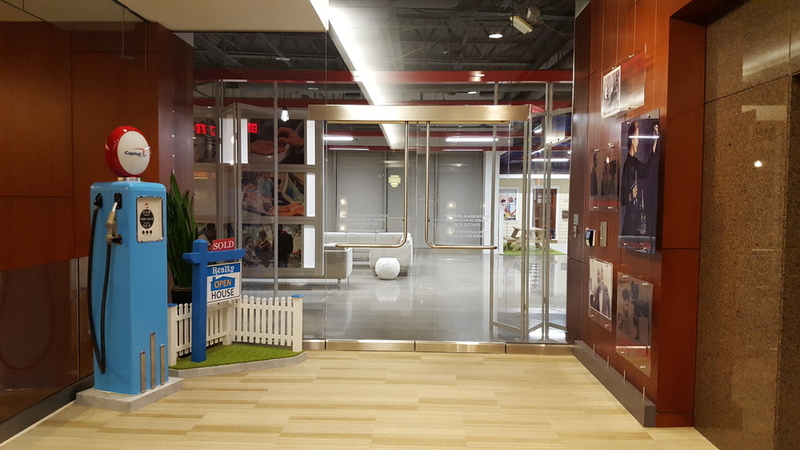 We fabricate newspaper and book racks for parks all over the United States. These are versatile pieces that utilize the center of the rack for storage of reading materials. Simply roll these out into the park, load with books, newspapers, and magazines, and you've got a library! 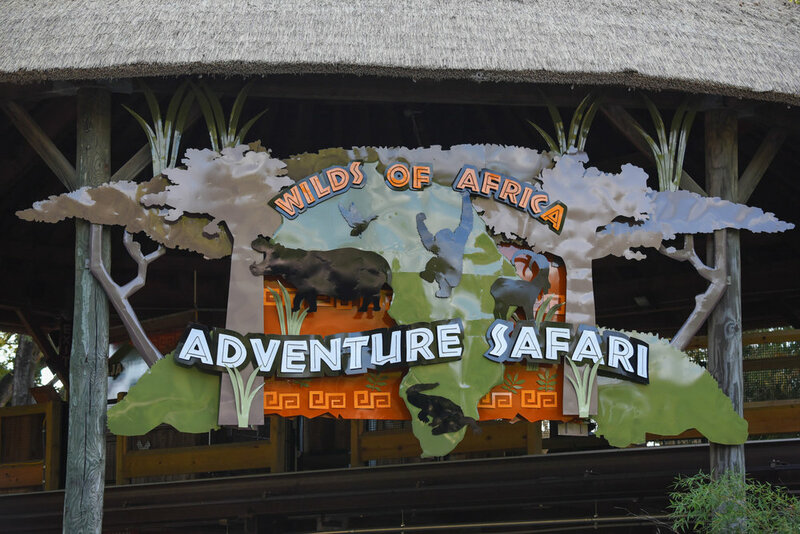 We also specialize in park signage, and can help bring an overall uniform look to your park space. We are always capable of custom pieces, so let us know your vision and we will make it happen! 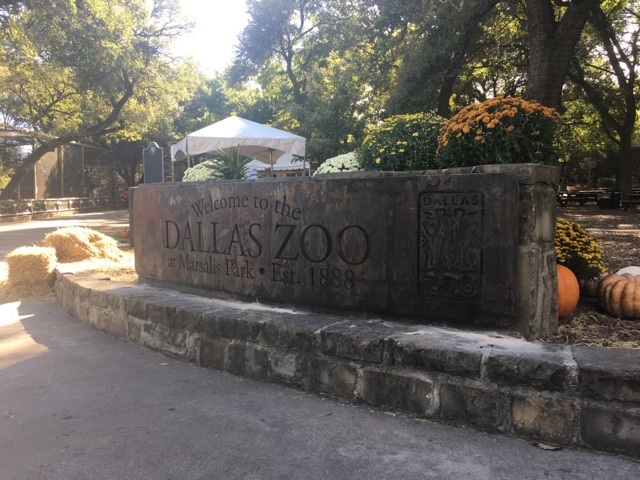 You can find our pieces at awesome parks in: Dallas, TX; Seattle, WA; Portland, OR; Wake Forest, NC; Newark, NJ; ADD YOUR CITY! Click "Start the Process" below and let us know what you're looking for! We also craft solar powered pianos for parks. 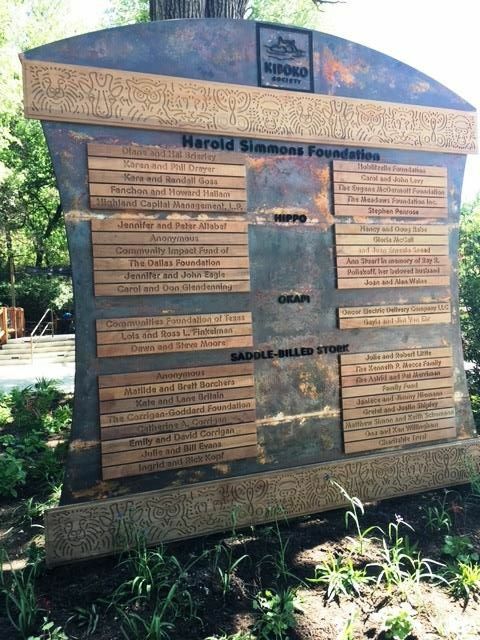 Like rolling libraries, they serve as a great addition to public parks. Bring your community together with live music. Host local musicians to provide ambiance and a peaceful atmosphere in your park. Also great for sing alongs with children, or any other type of performance, play or concert. Solar powered pianos are one of a kind, so let Mecca Design craft the perfect one for you. Let us know you are interested in a solar powered piano, and we will get right to work on providing you with custom colors and design to match your park. 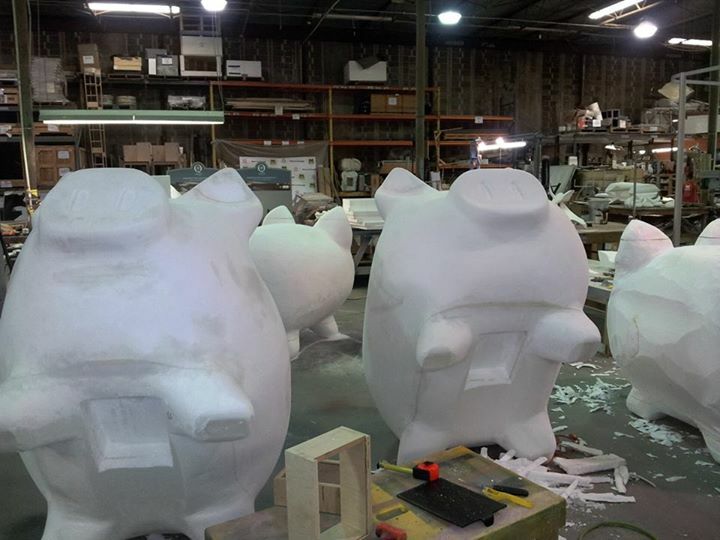 Mecca Design & Production Sends Five Larger-Than-Life Piggy Banks for 1st Tennessee Bank to Celebrate their 150th Year. 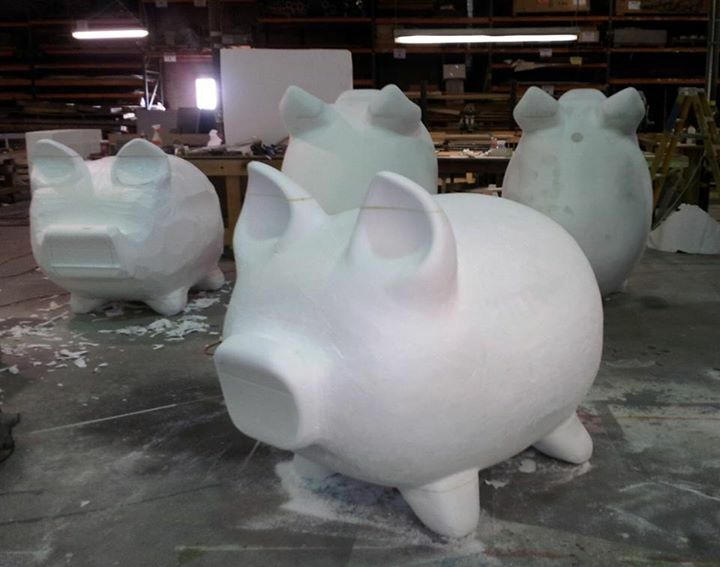 Sculpted by hand from foam, and painted in house. 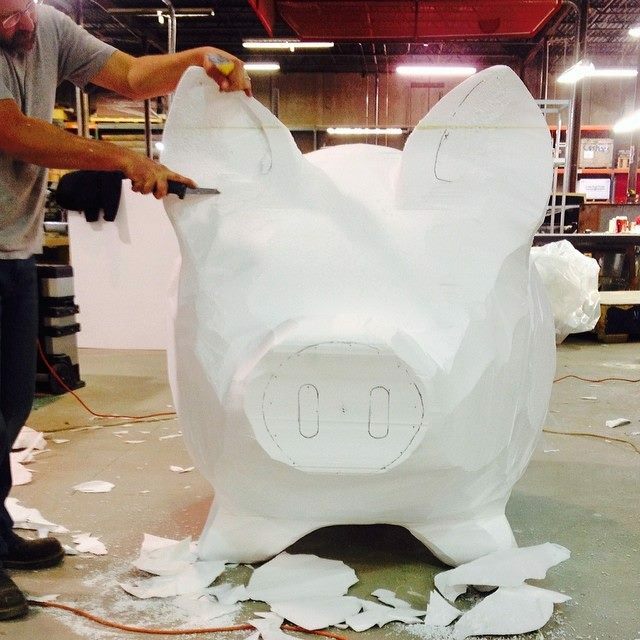 The penny used for the coin on the piggy banks was routed out of foam using our CNC router. 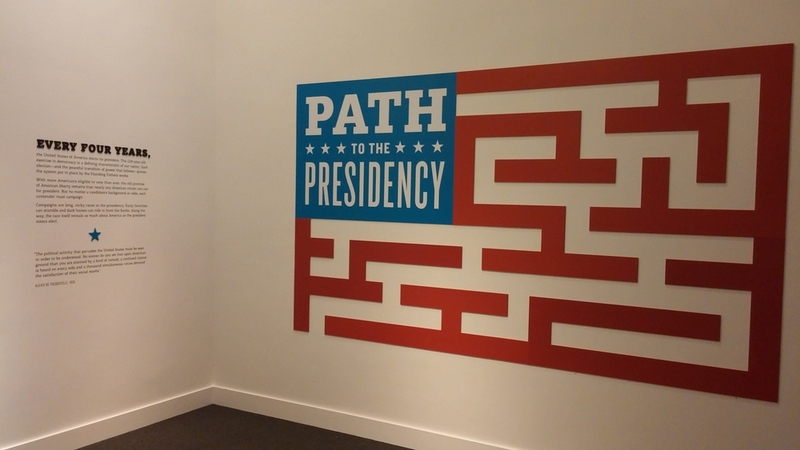 Show viewers the inside the campaign trail at The Path to the Presidency Exhibit inside the George W. Bush Presidential Library and Museum, an interactive exhibit produced and installed by Mecca Design & Production in collaboration with Howard + Revis Design. 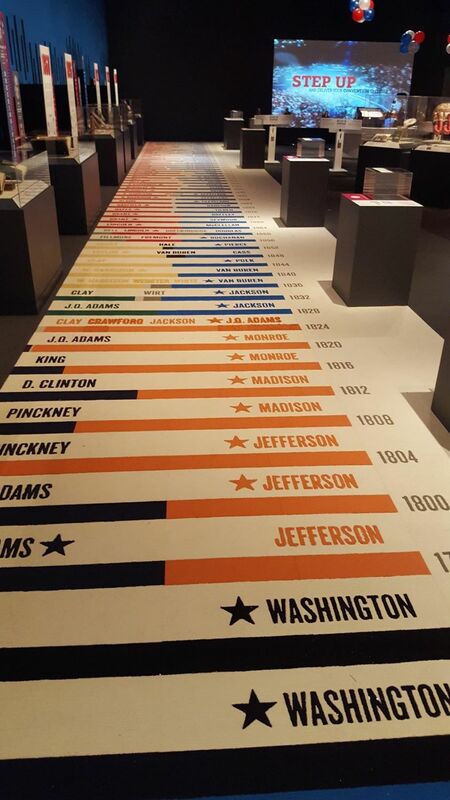 Concept: Custom graphics and vinyl cut letters to tell the story of presidential love for the game of baseball. 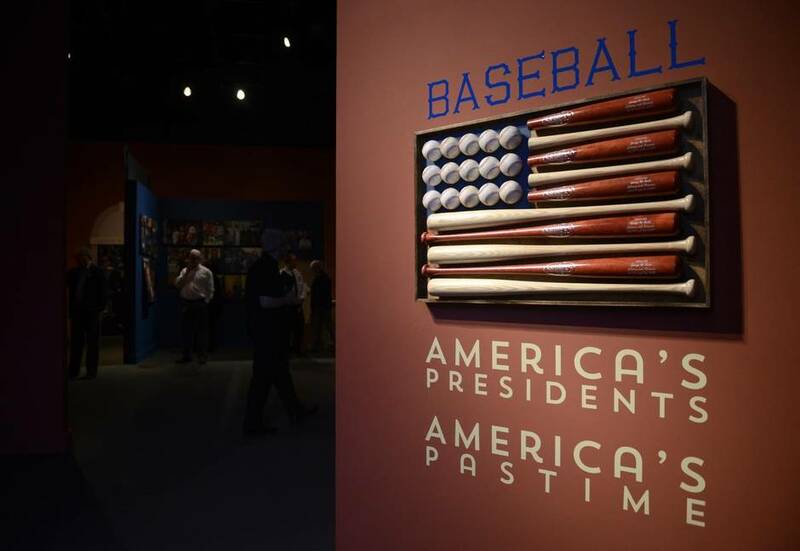 Baseball: "America’s Presidents, America’s Pastime,” open at the George W. Bush Presidential Library and Museum on the SMU campus, explores the special connection presidents have had with the sport. 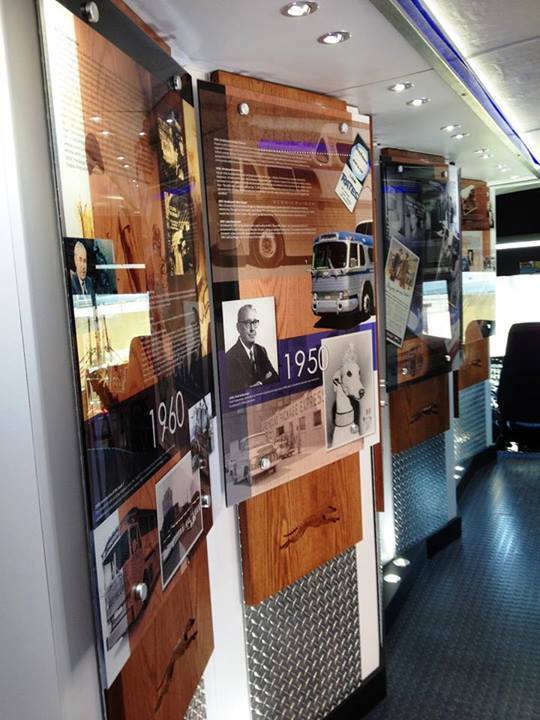 Greyhound / Eyecon Murals, inc.
Concept: To create a mobile museum out of a Greyhound bus. 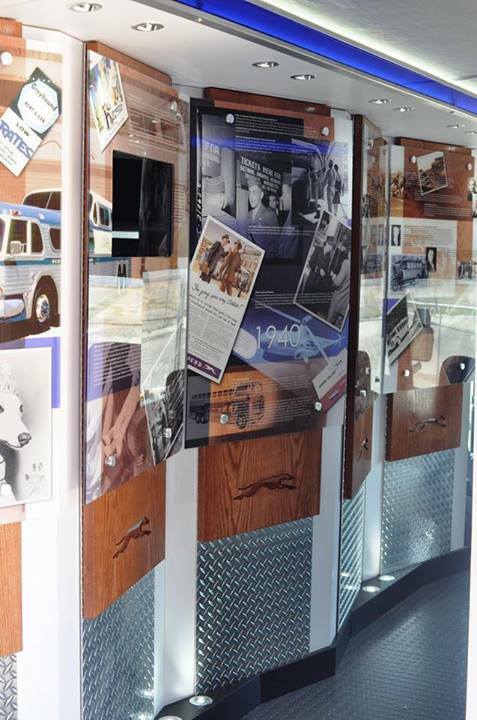 Celebrating 100 years of history and travel, the converted bus houses memorabilia, touch-screen displays, videos and more in an artfully designed mobile museum. 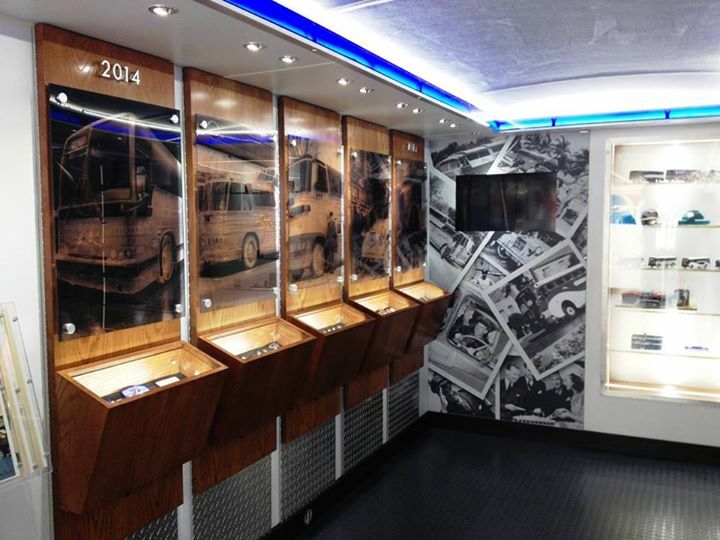 Mecca Design and Production was proud to work with the artists and designers at Eyecon Murals, Inc. in Dallas to bring the mobile museums to life. 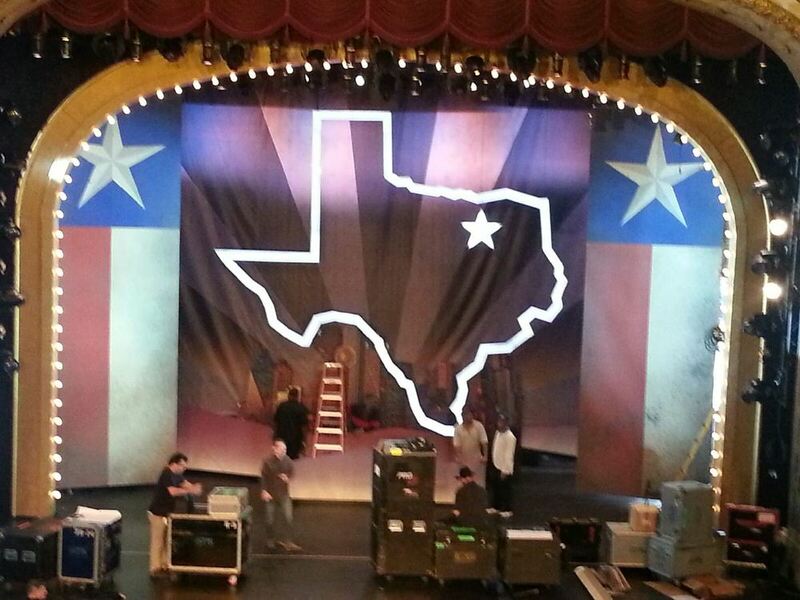 Concept: Make the set for Conan's live shows right here in Dallas! 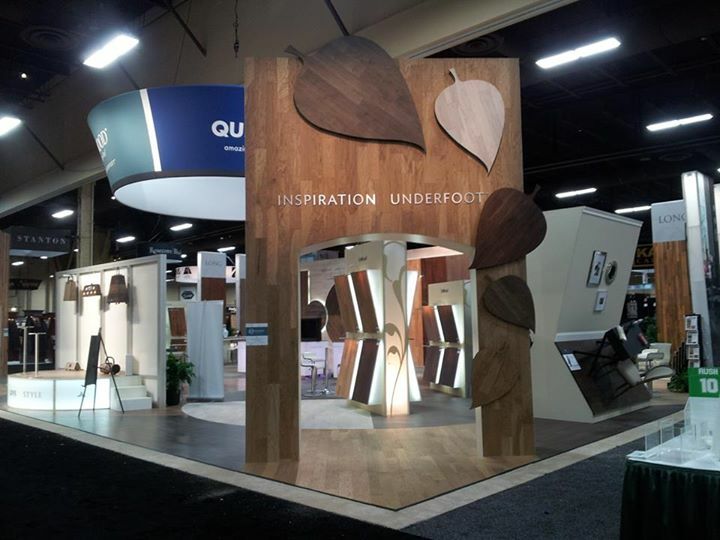 Concept: To create the most stylish flooring trade-show booth ever! 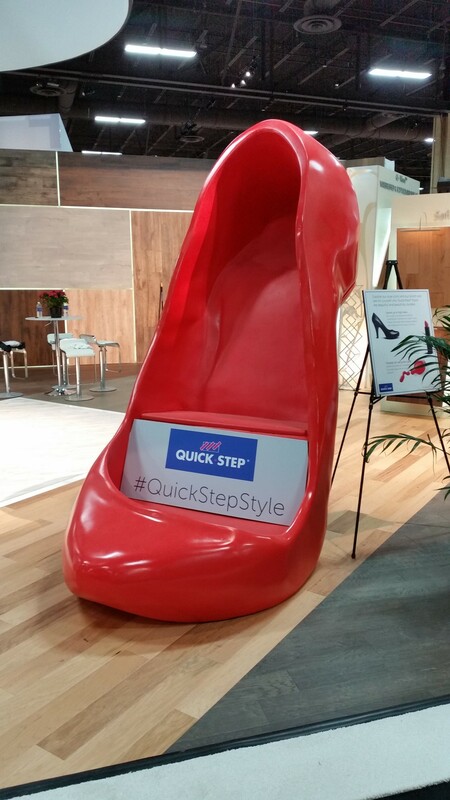 We created many unique shapes out of Quick-Step flooring, as well as a giant shoe, and many other props to help them create a fabulous environment to display their floors. 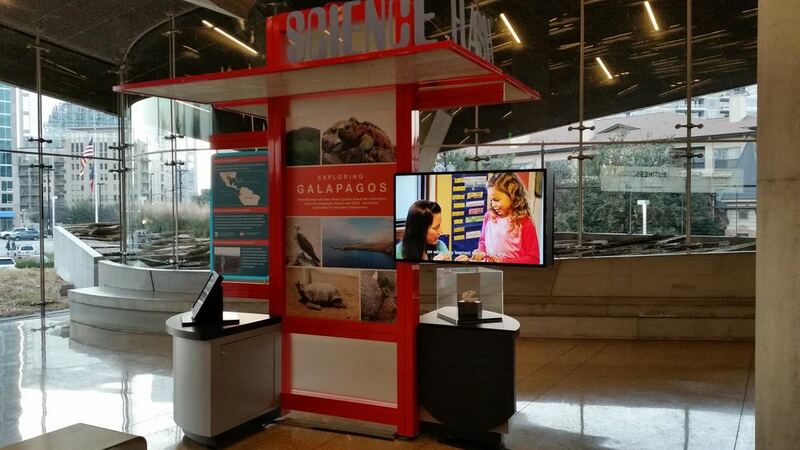 Concept #1: Science Flash portable exhibit for the lobby of Perot. 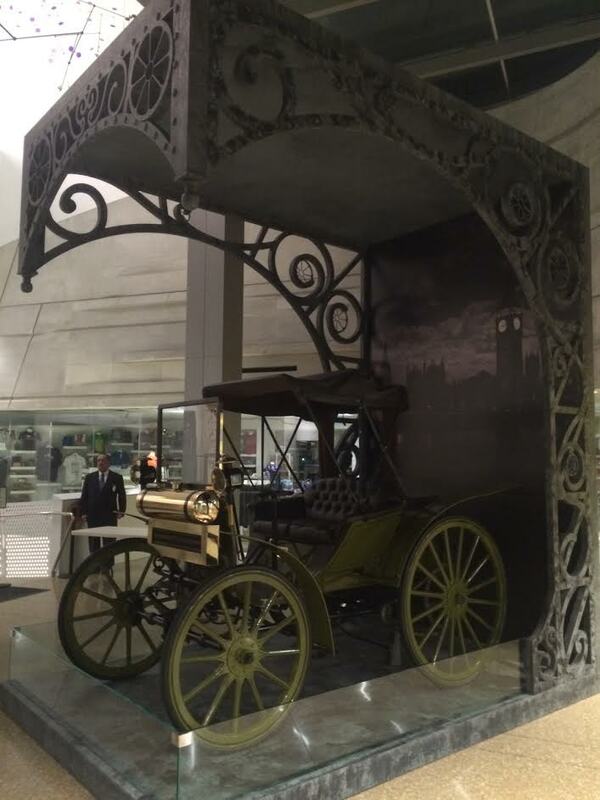 Concept #2: Ornate 3 Dimensional frame to display a car from Sherlock Holmes' era.